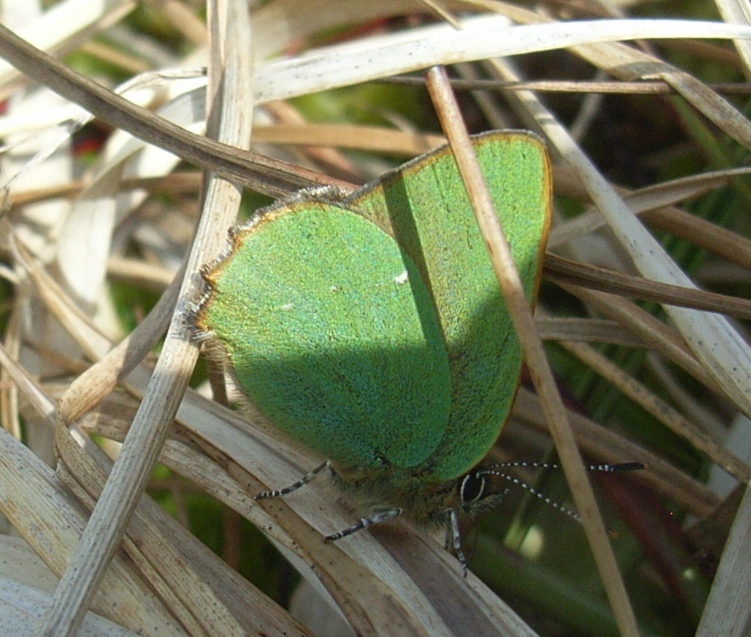 I know I need to get going with my moth trap but in the meantime here is a photo of green hairstreak that I saw on Pyllau Cochion common (near Horeb) on 5th May. I had shown it on a slide to a group of tourism providers in a presentation in the morning so was chuffed to show them the real thing when we took them to the common in the afternoon! Nice photo Isabel and glad that the wildlife appeared `on cue`!